You've booked your ride. Now what? Here's what you need to know before you arrive. For other guests’ enjoyment and safety reasons we do not allow cell phone use on the ride. No talking or texting but you may turn on airplane mode and use as a camera. Please arrive at the barn at your scheduled time regardless of the weather. Please bring a raincoat. If it is sprinkling and not thundering & lightning we will ride. For more information please see our Weather Policy. Everyone will meet at the picnic table in the welcoming area. 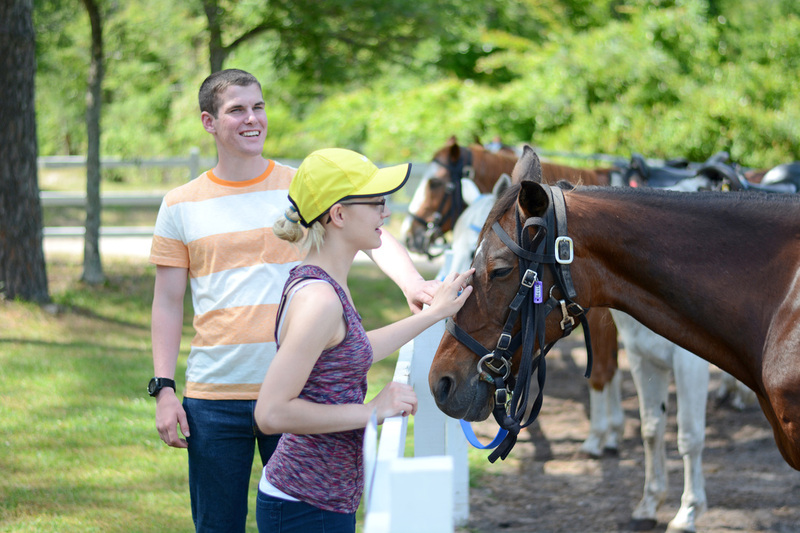 Our horses will be ready and waiting for your arrival. Take this time to say hello! All riders must complete a waiver prior to riding. Any participant under the age of eighteen (18) years old must have the waiver signed and completed by the child’s parent. Our guides will go over the ride rules and instructions with you and let you ask any questions you may have. 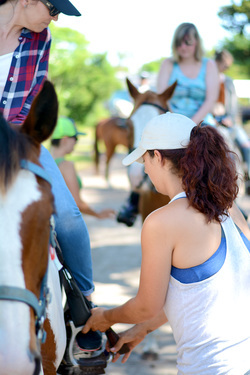 Then you will be paired with a horse that has been previously chosen for you based on the information you provided at the time of booking; age, height, weight and riding experience. Get excited! We will assist you with mounting the horses using a mounting block (steps) to make it both easier on you and the horse. Our guides will adjust your stirrups and make sure you are comfortable. After everyone is ready to go, we are off! It will be a 45 minute ride through the woods and Maritime forest crossing through several water holes until we reach the beach. ​At that time our guides will go over the beach rules, adjust stirrups, tighten girths (saddle belts) and answer any questions. You are welcome to go at your own pace on the beach, but stay with the group. 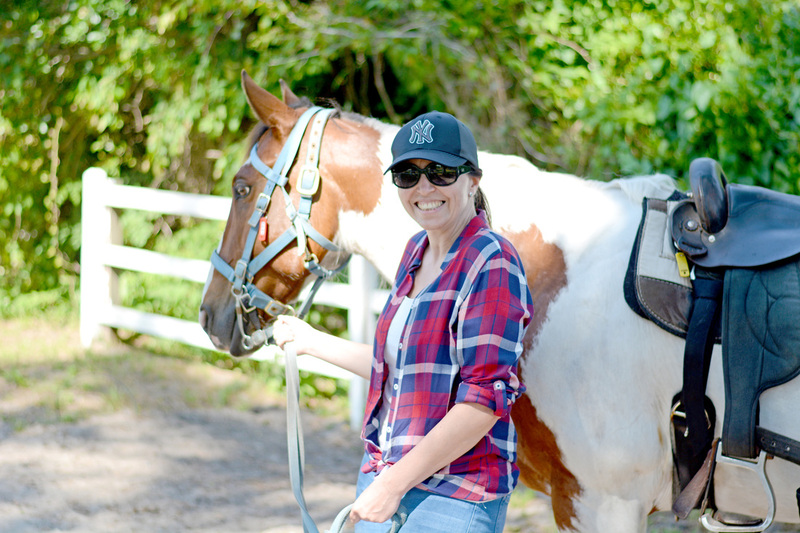 We ride approximately 30 minutes on the beach before stopping for photos and heading back to the barn. ​Relax and enjoy the ride! 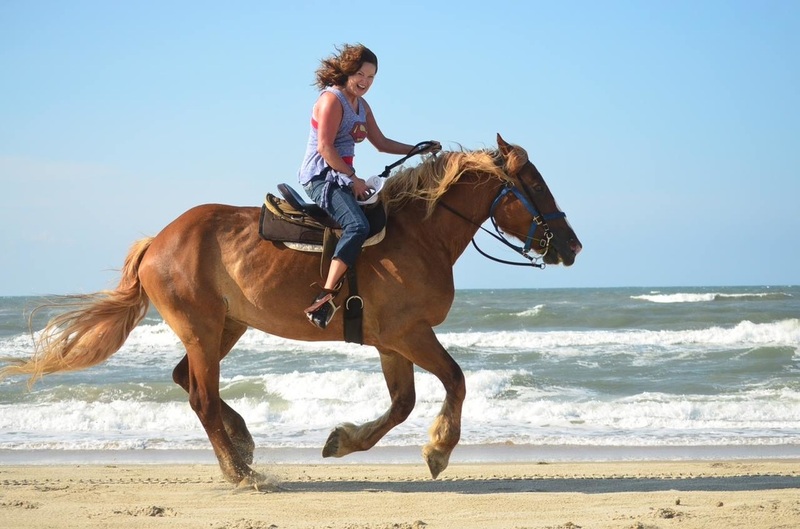 This is an truly unique experience that will make your Outer Banks vacation complete!